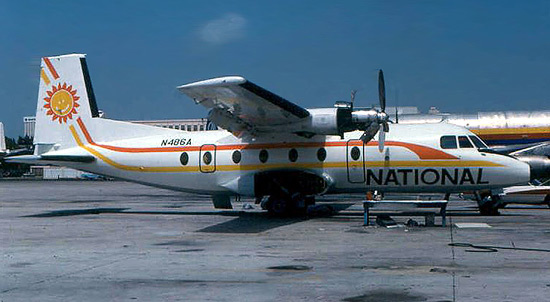 During 1982 - 1984, National Commuter Airlines used a fleet of nine Nord 262 turboprops on routes between 7 Florida cities along with several points in the Bahamas. Although not directly related to the original major trunk airline National Airlines (which was merged into Pan Am in 1980), National Commuter's aircraft were painted in a nearly identical paint scheme. Below: N486A at Miami. 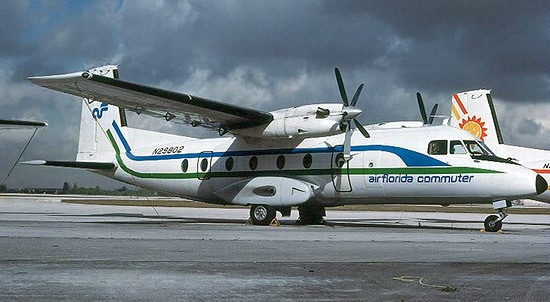 National also operated contract flights under the Air Florida Commuter banner.